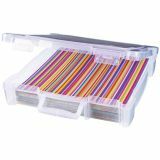 ArtBin Essentials Box W/Handle - ARTBIN-Essentials Box With Handle. 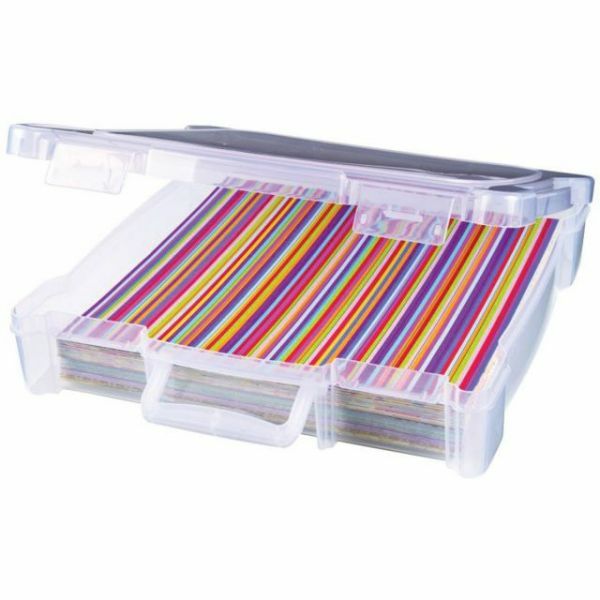 This is a great place to store 12x12 inch scrapbooking papers and supplies. It has two secure latches and a handle for safe transport. This package contains one 12x12 inch translucent clear storage case with handle. Made in USA.